J.K. Rowling unveils wand designs for 'Harry Potter and the Cursed Child' play - trendistic.com: ever tried. ever failed. no matter. try again. fail again. fail better. 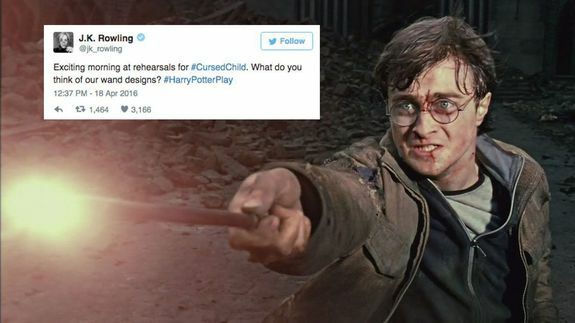 LONDON — When tickets for Harry Potter and the Cursed Child were released last year, the whole thing felt like it was still a lifetime away. But it’s edging closer. It’s now not much more than three months before the play will premiere and the script will be released, and preparations are well underway. Twitter Queen and Harry Potter author J.K. Rowling was in town to watch rehearsals on Monday.